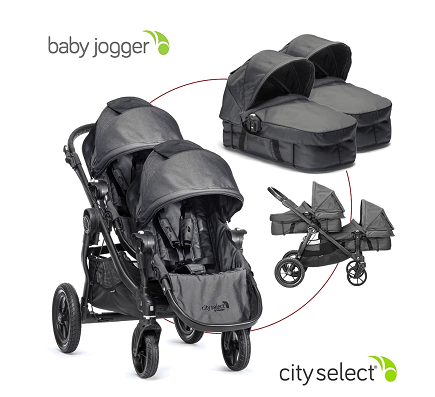 Baby Jogger 2016 City Select Review is a award winning stroller with innovative features, Baby Jogger 2016 City Selectcan be transform from a single stroller into a double stroller with an addition of a bassinet, car seat adapter or additional seat. With the second seat, it has 16 different combinations of the seating arrangement. 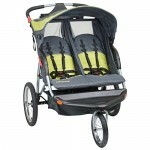 don’t get confuse with the name it’s not an jogging stroller but a all terrain stroller for all kind of surface . 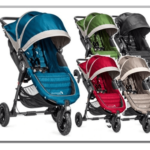 Large seat & basket with huge canopy makes this Baby Jogger 2016 City Select Review stroller perfect for urban life style, especially if you have twins or you are planning for a second child. 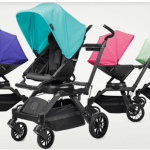 So let’s discuss some more about this stroller in “Baby Jogger 2016 City Select Review”. It rolls on four wheels with two lightweight 8″ wheels in the front and 12″ wheels in the back. They are filled with lightweight foam instead of air. The front wheels are swivel, but can be locked straight for tougher terrain. These wheels are suitable for flat & rough surface both & for daily walk in the city or park. The seat is quite large with 12″ wide and 21″ high from the back of the seat to the top of the canopy.You can extend the canopy more up to 3 inches at the top, so it is 24″ high from the back of the seat to the top of the canopy. This is enough to protect your child from harsh weather along with peekabo window for air circulation. You can recline the seat with the help of lever situated in the side of the seat using your one hand & the seat is reversible so you can adjust direction of the seat to see your baby. 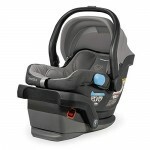 The seat can accommodate baby of 6 months and up to 45 lbs per seat. 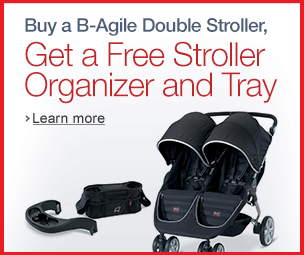 If you want to use it for a newborn, you will need to get a bassinet or car seat adapter. 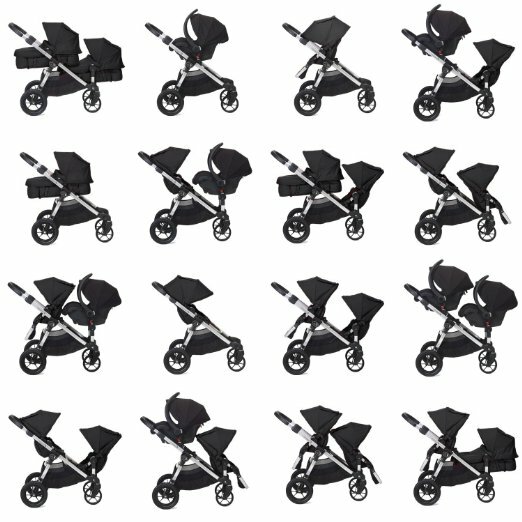 Baby Jogger 2016 City Select Review single stroller can be convert into double stroller, you need to add a second seat (sold separately).There are 16 different seat combinations to fit your child’s needs. You can have a main seat and a car seat or a main seat and a pram or two seats. 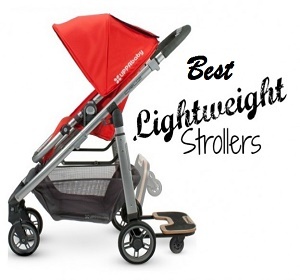 It has a telescoping handle bar which can be easily pull & goes from 38.5″ up to 41.5″ from the ground so it is very good for shorter & taller parents. 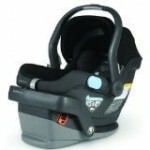 It has 5 point harness system with central buckle to hold your child tight & safe. The foot rest is adjustable with 4 positions, so your baby can stretch his legs according to comfort.It has a hand brake that is located on the side of the handle bar which is very easy to operate & safe. 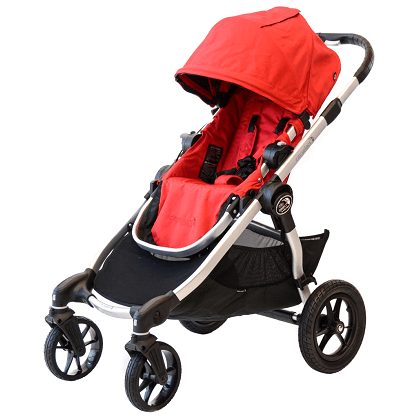 One this you may not like in this “Baby Jogger 2016 City Select Review” it doesn’t stand on its own once folded and doesn’t have an automatic lock, so you will need to lock it manually. To make it more compact, you should take the seat off the stroller. You can fold the stroller with both seats attached, but it will take up all of space of your trunk and is much heavier to lift. It has huge basket to store diaper bags & your baby other stuffs. You can do your grocery shopping with this basket and fit a lot of items. There are two zippers on both the side to zip & unzip to protect your stuffs. One thing is very important to mentioned in “Baby Jogger 2016 City Select Review” the fabric is good to clean with machine wash but it is not that much soft like other stroller’s seat padding .you can detached the seat from the frame for cleaning . It comes in 4 colors with a silver frame: onyx (black), ruby (red), quartz (beige), amethyst (purple). 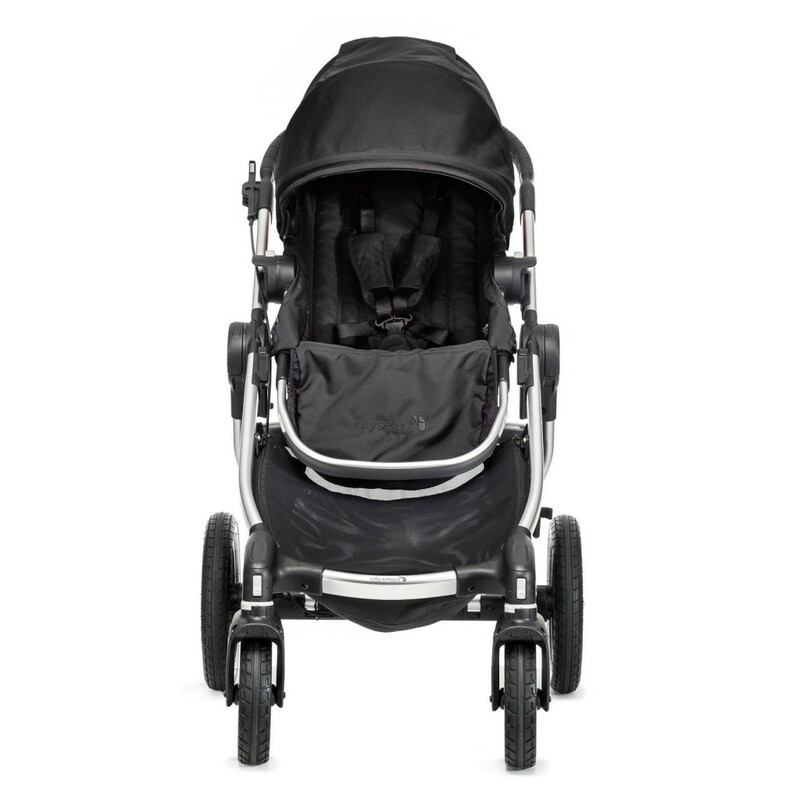 Recently, Baby Jogger has added two new colors with a black frame: black and silver. 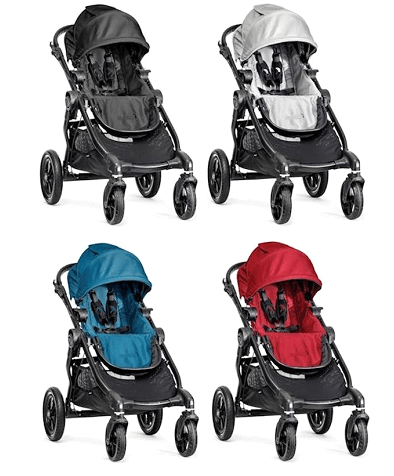 Because of the double seat, car seat & bassinet option this stroller is very much compatible in market, luxuries looks, comfort, durability & light weight makes this stroller a perfect one for your urban life style. 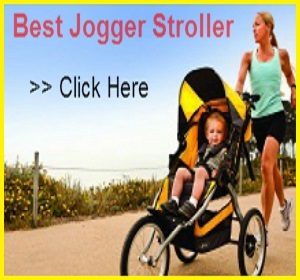 Just go through with this “Baby Jogger 2016 City Select Review” & give value to your money. 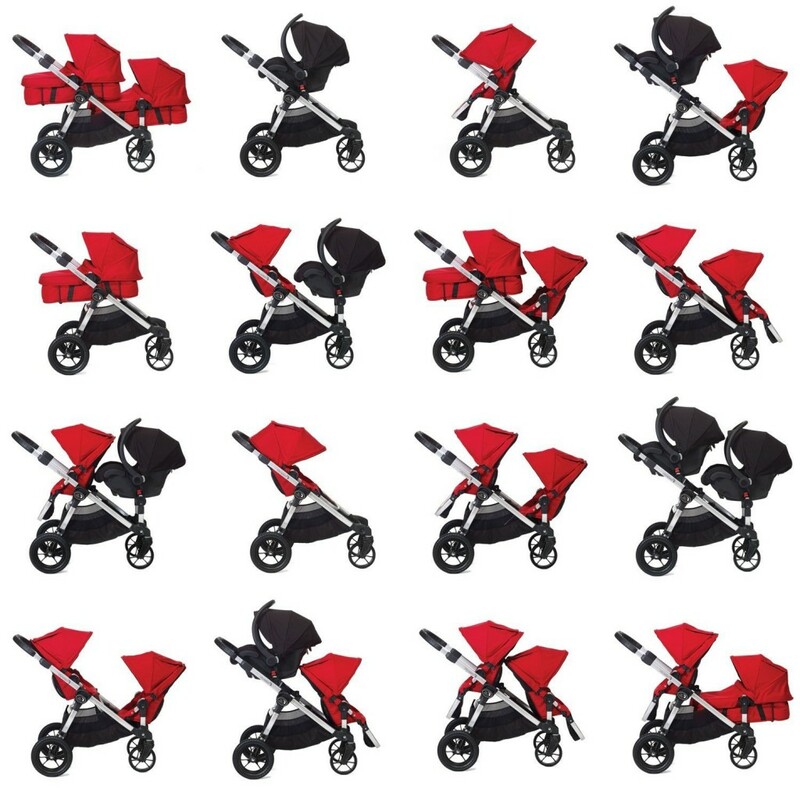 Baby Jogger 2016 City Select Review stroller gives a lifetime warranty on the frame of the stroller and 1 year on small parts and fabric which I feel is very unusual as compare to other stroller.